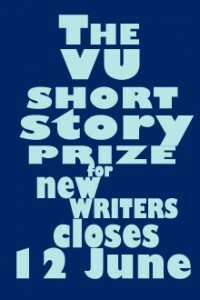 Submissions for the 2015 Overland Victoria University Short Story Prize were assessed blind. More than five hundred entries were equally divided between the judges, who returned after several weeks with a longlist of twenty-eight stories. This longlist was then reduced, over a number of rereads and discussions, to a shortlist of twelve diverse and ambitious stories, and finally to two runners-up and a winning story. Here are the judges’ comments on the entries overall. One of the things that ties the shortlisted stories together is that they all offer unusual takes on common relationships – something that was missing from most of the entries. Particular favourites that did not place were ‘Mary, Mary’, which exhibited beautiful control and a tightly wound structure, and ‘Monday, 25 years old’, a story that is fearless in both topic and style. My main advice to most entrants is that a short story can only do one thing. Also, enough with the dead women. Sheesh. Dead women served as a springboard for too many stories, and they outnumbered dead men – an anomaly which is loaded with sexist overtones. I disagree with Natalie’s comment that a story can only do one thing, but agree it’s probably useful advice for many writers. Advice-wise, I guess maybe writers should be aware of the genres they’re writing into – grungy relationship story, drugs-’n’-inner-city-ennui account, epiphanic trip abroad – so as to look for ways to deepen/expand/subvert/totally nail said narratives. More sentence-level attention would be welcome, more effort to push past familiar articulations. Finally, the stories were overwhelmingly auto-linear (whether scene-based or ‘paraphrased’) and therefore cut off from complexities made available when time/order/meaning are shown to be provisional, are fucked with. Commendations: ‘Triplets’ and ‘Her: the story of a man and a woman’. It was heartening to see a number of queer stories embracing a plethora of human experiences. I also enjoyed the vividness of place conveyed by this year’s writers, particularly the sensation of city life. The stories I read felt of this moment, something I like literature to be. But I also like fiction to subvert expectations. There is comfort – and scaffolding – in the familiar, but the unexpected belongs there, too. Surprise can be what moves a story from a retelling to something original, and an emotional resonance moves it from artifice to belief. In the three winning stories, the drama lies in the familiar and the familial; everyday power relations are re-examined and twisted. Genevieve Poetka’s ‘Faking’ is a high-risk satire: an unsympathetic, self-absorbed protagonist, New York as a familiar hotbed of bourgeois ambition and disconsolation, all wrapped up in an arch, self-conscious tone. But the story subverts expectations with its precision of language, its slippery, savage intelligence. Jennifer Down’s ‘Alpine Road’ depicts the day-to-day concerns of a family living on the poverty line in the shadow of the Hazelwood mine. Its focus on the nexus between socioeconomic and emotional pressures is underexplored in fiction, and its deceptively simple prose belies a technically adept, beautifully weighted story. Barry Lee Thompson’s winning story, ‘Their cruel routines’, is a study in the tremendous violence that can be done by two people simply sitting, talking in a room. Repression mortars this story on every level – character, psychology, memory, structure, language. Thompson takes the mundane relationship of mother and adult son and makes it strange, ambiguous. An exceptional and unnerving story. We’re honoured to award these three superb writers. Congratulations to the shortlisted writers, and thank you to everyone who entered the competition: it’s terrific to encounter such a vibrant literary culture. To read the rest of Overland #221. To subscribe. Nam Le is the author of The Boat. He lives in Melbourne.